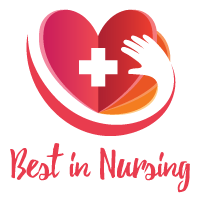 Dr. Diane DeVivo, Director of Patient Care Services at Northwell Health, has been recognized as a “Leader in Nursing” among “America’s Best Nurses” for 2017. She will be sharing her knowledge and expertise in Leadership and Emergency Medicine. Dr. DeVivo has been active in the healthcare industry for the past 38 years. She most recently received her Doctorate in Nursing Practice and Leadership from Case Western Reserve University, School of Nursing in 2010. Dr. DeVivo’s career as an Emergency nurse has spanned over 25 years and her career in Critical Care Leadership and Operations for the past 13 years. Dr. DeVivo’s day-to-day responsibilities as Director of Patient Care Services at Northwell Health for the past 15 years include the management of operations and patient flow, handling discharges, and strategic care. Northwell Health is New York State’s largest health care provider and private employer, with 21 hospitals and nearly 450 outpatient practices, serving 8 million people in the metro New York area and beyond. Services include Healthcare, Hospital, Pediatrics, Medical Research, Radiology, Pharmaceutical, Nurse Practitioners, Doctors, Physician Assistants, Laboratory, Therapy, Information Technology, and Emergency Medicine. Dr. DeVivo attributes her success to her strong self-motivation. She is proud to have continually advanced throughout her career and honored to have had her work published. Her long-term goals include continued growth. Dr. DeVivo is affiliated with the Emergency Nurses Association (ENA), American Nurses Credentialing Center (ANCC), and Society for Critical Care Medicine. She actively volunteers with her local community church. In her free time, Dr. DeVivo enjoys traveling. Ms. DeVivo’s day-to-day responsibilities include the management of operations and patient flow, handling discharges, and strategic care. 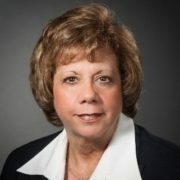 She is affiliated with the Emergency Nurses Association (ENA), American Nurses Credentialing Center (ANCC), and Society for Critical Care Medicine. Northwell Health is New York State’s largest health care provider and private employer, with 21 hospitals and nearly 450 outpatient practices, serving 8 million people in the metro New York area and beyond.